Through various shows and numerous companies, this week marks the 10th anniversary of the Laser Time gang recording together. Join the original gang as we look back on our favorite moments, talk about how the medium of podcast has grown, and pull back the curtain on an entire decade worth of audio-based buffonery! 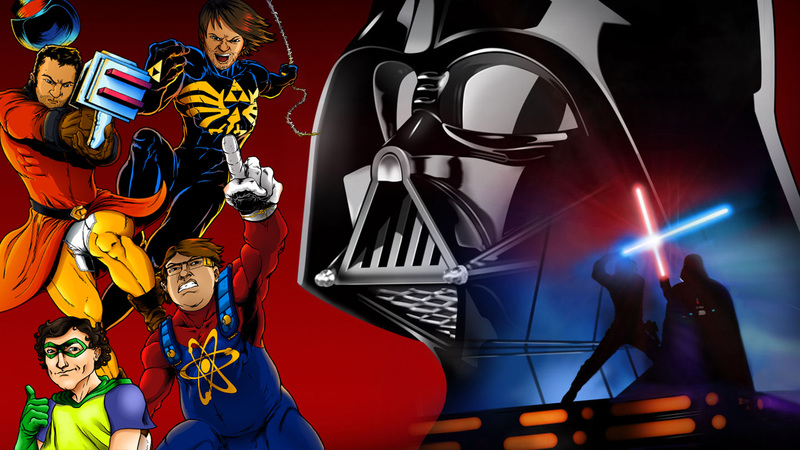 Get all of Laser Time’s Star Wars commentaries on Bandcamp or by becoming a Patron! Comic Review: Superman Special and Quicksilver: No Surrender! Don’t know where I’d be or what I’d do with myself without having you guys in my ears throughout all this time. Congratulations on 10 years! I’m still fairly new to LT, discovered you guys in 2015, but caught up with the various shows. All that to say, Happy Anniversary, Here’s to 10+ more years of excellent content. Congrats on the 10th anniversary! The Helix intro gave me serious goosebumps. My First episode was the talk radar where Brelston was leaving and I didn’t know him and didn’t care. 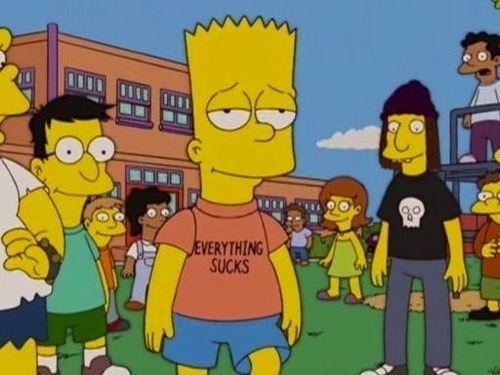 I decided to marathon every episode from the beginning and when I got back to that episode it gave me a completely new reaction and felt sad that he was leaving. I have been a fan ever since. And an glad to see the success of the world’s 7th leading pop culture podcast network. Hearing that opening theme instinctually put a grin across my face. I can’t believe I’ve listened to 10 years of these great podcasts. What a fun special! Yeah, hearing that song really brought me back. I remember when, I guess the iPad had just recently released and the GR office had one. Mikel would go quite for 5 or 10 minutes and as a listener I would only kinda sorta realize it, until Brett or Chris would say something like, “How’s that iPad Mikel? !” and then Mikel would wake up from his stupor and start talking again. My favorite moment was when Brett and Henry were talking about Thanos Quest, and the conversation was rolling, and they started to talk over each other, and then all of a sudden Mikel shouts, “I’M NOT GONNA PLAY FESTERS QUEST!” Hearing these guys talk about the “improv” they would do in exchange for paypal donations reminded me of at least one time (maybe a couple of times) where they put Henry and Tyler together to do the improv. They gave them the set up, and then Henry was trying to make it go and Tyler would constantly break a rule of improv when instead of saying, “Yes, and” he would say, “No, no, no, thats not what were doing” thereby immediately destroying any hope that the improv had of working (which was very little to begin with). Great episode! Thanks for 10 years! My first episode of TalkRadar was 123, “Epic Honor”, back in 2010. From that magical day, the Laser Time crew has been apart of my daily routine ever since. You guys have gotten me through high school and college with smiles and tears. On particularly bad or hopeless days, I listen to “Worst Christmas Specials”/”The Filthiest Christmas Songs” and I’m reminded of how beautiful humanity can be. 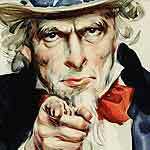 You also inspired me to start my own podcast and add my own voice to an ever-growing medium. 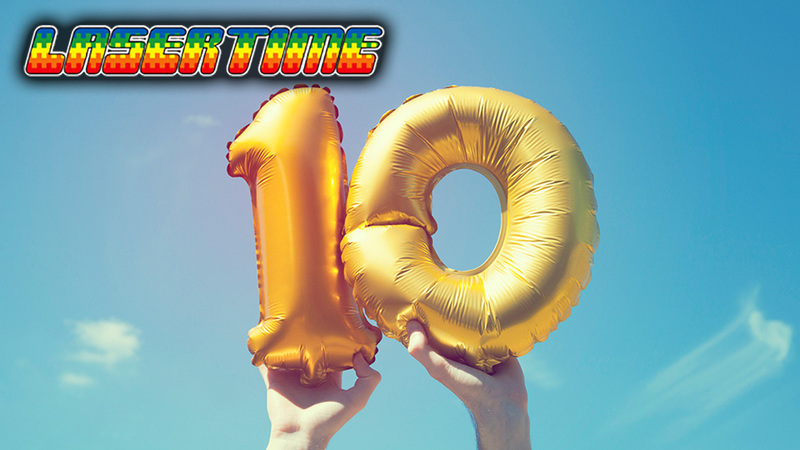 Cheers to everyone at the Laser Time Network on 10 years of podcasting excellence and may it continue forever and ever! Hoo boy, it felt good to hear “Helix Nebula” again. Congrats to the whole gang for everything you’ve accomplished in 10 years. It’s been a joy and a privilege to take part in this journey with you. Thanks for everything, and here’s to 10 years more! Holy crap man, 10 years!!! I didn’t start listening to Talk Radar until around late 2009 when Castlevania: Lords of Shadow came out. But I’ve stuck with the show ever since and I even listened to all the old episodes at least twice. So yeah, can’t believe you guys have had the patience and commitment to do this nearly without missing a beat for 10 years straight, but I’m super thankful that you did! Here ‘s to ten years more? I mean, I hope so, hopefully Chris ‘s move will work out. But whatever happens, I wish you guys the best, and hope things only go up from here. I started reading Games Radar after seeing ads in PSM, I think, and I remember looking for Okami information there before the game came out, and they had a cool font in the search bar that made the word Okami look really cool. I listened to Brett on Tokyo Elevator before I knew who he was, and I think it was mostly before the site allowed personality. I started listening to Talk Radar as soon as it started, and listened all the way through. It was great to hear a bunch of friends who were about the same age as me, chatting about games, and other pop culture every Friday. I followed to Laser Time as soon as it started, and I don’t remember any episodes that I thought weren’t very interesting until just the last few months, when the focus was on comics I didn’t find funny. I’m hopeful that Chris finds a way to keep things interesting, so far the people he’s had on in Florida are interesting, but they can’t hold a candle to what Chris, Brett, and Mikel used to do, and the clips played today show how good things were (well, cherry-picked best parts, but still.) I wish Chris still did the messages about what is going on in the Laser Time world during the second break, since he must be running out of podcasts he recorded a long time ago now, and I think a lot of fans have no idea whether anyone who’s been in the Laser Time family still gets along, or is still alive, or anything. Oh man, that Helix Nebula intro definitely gave me some goosebumps. I remember the first podcast I heard from you guys was TalkRadar 37 about Killzone 2 (lol) and I’ve been listening since then. I can’t believe it’s been 10 years…that’s crazy. Anyway. congrats and thanks for giving us 10 years of laughter and entertainment. Always great to hear Helix Nebula again to start a podcast. I don’t remember exactly when I started reading GamesRadar and listening to TalkRadar but whenever I started, I’m glad I did. Thanks for the many, many, many years of entertainment on the old site and LaserTime. I have some great friends. But they are not the ones I grew up with. I can’t reminisce with them about the cartoons, games, movies, etc. that I grew up with. My first Talkradar was 120. I was in heaven. I was working at a job I hated and needed something, anything to get me through the days. That was the beginning of a great time of my life. People who understood what I liked and who I could relate to. Thank you so much for a decade of great memories! Is there any place to find and listen to old talk radars? I started listening in summer 2011. I remember that still by 2014, I was able to find and download every episode directly from the gamesradar website. But I haven’t tried since, and I don’t know if they’re still available at GR+. I also remember then being available on iTunes, but again, no idea if this it’s still the case. 10 more years! 10 more years! 10 more years! 10 more years! That intro game me all the feels. Congrats on 10 years LT Crew and here’s to years of content to follow. Also that stinger *Italian kissy fingers*. Chris, Brett, Mikel, Tyler Wilde, Henry, Dave, Grimm, Anne, Diana, Bob, Matt, Dan, Charlie, Shane, Paul, Hollander, Lizzie, Carolyn, Cheryl, Tyler Nagata, Scott and everyone else. Thank you for TalkRadar. Thank you for Laser Time. Thank you for making me laugh for so many years. Thank you. Congratulations guys! I honestly can’t remember how I found you guys and when I started listening-probably over 4 years ago-but you guys have been an amazing outlet for someone who has seen and heard all kinds of crazy stuff in their life, and give people a forum to relive or learn about the same crazy pop culture things (a self-vindication that you’re not weird or crazy for remembering or liking certain things, like loving video game music (love VGMPire!)). Here’s to many more years fellas!!! Congratulations on 10 years! 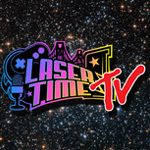 I can’t remember when I started listening to Talkradar (maybe 2009), but I remember being sad as people left that show one by one, then equally happy to hear about Laser Time coming about. What drew me to listening to you guys then and now remains the fact you guys have always embraced your unique personalities. You always come across as genuine, like you really want to be doing what you’re doing, and that means a lot. 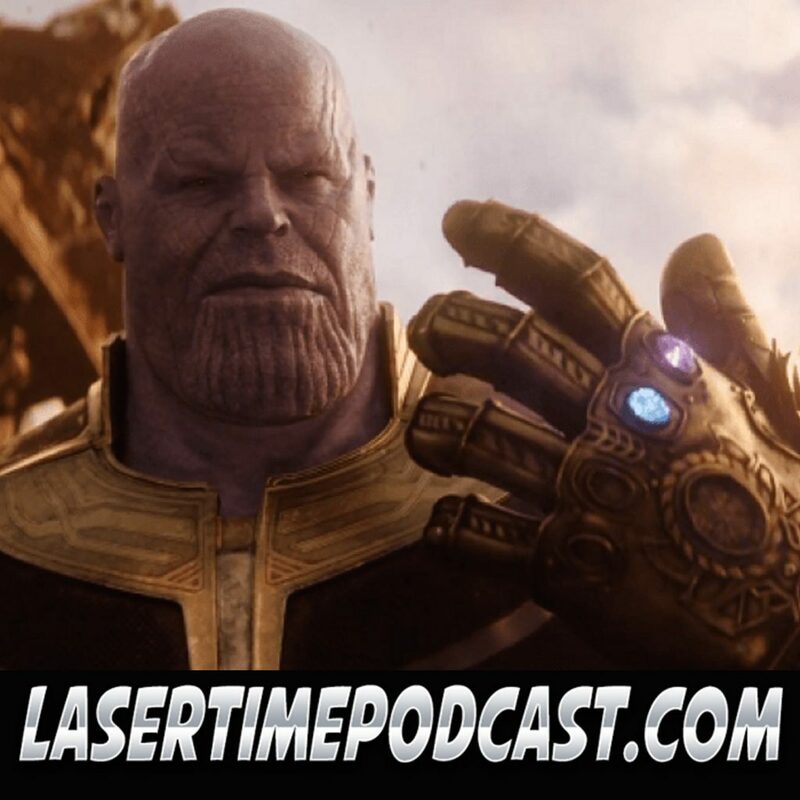 Like its predecessor, Laser Time has adapted over time, but I’m hopeful that whatever form it settles into next, it’ll be successful and long-lasting. Just wanted to say that you guys are great and thank you for 10 years of great podcasts. Don’t know how I would have survived at my old job without you guys. 10 years already, wow. Been listening for roughly 9 years now and I gotta say, thanks for all the memories and good times. You guys made a lot of lunch periods in high school a lot less lonely, and a lot of early mornings at work easier to deal with. I can’t remember my first episode of Talkradar, but I remember a lot of episodes and bits off by heart. I remember trying my best to hold a laugh in during clay work in art class while the Halo Reach reviews were read with dramatic effect. Or the Norwegian King of Names. Hell, I remember the old LaserTime gag ads. Or, in regards to Lasertime itself, sitting on a bus, heading to college and hearing the term “Hitler Baby Slap”. Thanks to everyone that’s been around, whether they’re still here, or if they’ve come and gone as their lives have changed. You guys have made a lot of very difficult periods of my life just a bit easier. Here’s to another 10 years, guys. And you will always be cooler than Bullet Time. My thoughts about T-dar’s tenth anniversary. Happy 10th anniversary, y’all! This was a fun episode. I started listening to TDar in 2010 (episode 115 was my first, I believe) and I’ve been a big fan ever since.